Is Reputed Gang Member on FBI’s ’10 Most Wanted ‘Hiding Near San Diego Border ? 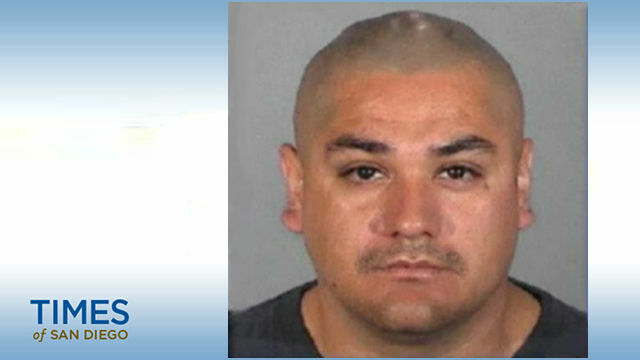 A reputed gang member with Southern California ties, who’s accused of murdering his wife in Las Vegas, is the newest addition to the FBI’s “Ten Most Wanted Fugitives” list and may be hiding out in the border region near San Diego, the agency announced Tuesday. Jesus Roberto Munguia allegedly bludgeoned his wife to death on July 2, 2008, then abandoned their four children and left Nevada, FBI public affairs agent Mollie Halpern said. Several days before her death, Sherryl Sacueza left home and took the couple’s children, ages 6 to 12, with her, according to the FBI. Mungia allegedly threatened to kill her then, after learning she was romantically involved with another man, but persuaded her to return home with the children. He allegedly locked the youngsters in a bedroom, drove his wife to a remote location, bound her hands, attempted to strangle her and then bludgeoned her with what investigators believe was a tire iron, FBI Special Agent Andrew Attridge said. Munguia has a tattoo on his chest that reads “My Baby Jessica,” the name of his oldest daughter, and a tattoo of a teardrop near his left eye. He’s also missing his right index finger. Anyone with information about Munguia’s whereabouts was asked to call the FBI at 1-800-CALL-FBI (1-800-225-5324). The agency is offering a reward of up to $100,000 for information leading directly to his arrest.